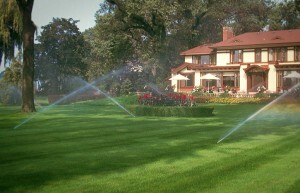 Many commercial and larger residential properties, as well as parks and HOAs rely upon Southern Sprinkler Systems to manage their outdoor water use. Having professional oversight can lead to tremendous water savings and return on investment as well as healthier plants and turf. If you believe Southern Sprinkler Systems might be able to help you with your outdoor water management and maybe save you time and effort, please don’t hesitate to contact us online or at (678) 461-7922.